May 10 (Bloomberg) -- Microsoft Corp. is close to an agreement to buy Skype Technologies SA for more than $7 billion, the Wall Street Journal reported, citing unidentified people familiar with the matter. An accord may be announced as early as today though the deal may still fall apart, the Journal reported. The report said that representatives for Microsoft and Skype declined to comment. The purchase amount would make Skype among Microsoft’s largest acquisitions in its 36-year history, the Journal reported. Microsoft Chief Executive Steve Ballmer sees the Internet as an essential battleground for Microsoft, which still makes the majority of its profits from Windows and Office software systems, the report said. In 2007, Microsoft paid about $6 billion to buy online advertising firm aQuantive Inc. and gave up on an unsolicited $48 billion offer for Yahoo Inc. almost three years ago, the Journal reported. Yahoo is valued at half that sum today. 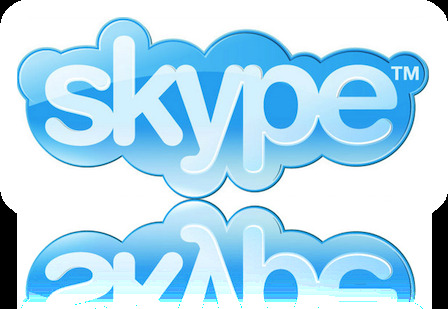 Skype connects more than 663 million users worldwide via Internet-based telephony and video, the report said. The company was founded in 2003 by Niklas Zennstrom and Janus Friis, creators of the file-sharing technology called Kazaa. EBay purchased the company in 2005 for $2.6 billion in cash and stock. EBay gave up on Skype in 2007, taking a $1.4 billion charge on the investment as it sold a 70 percent stake to a group of technology investors including Silver Lake Partners, venture capital firms Index Ventures and Andreessen Horowitz, and the Canada Pension Plan Investment Board. Those investors would gain from the Microsoft transaction, the Journal reported.